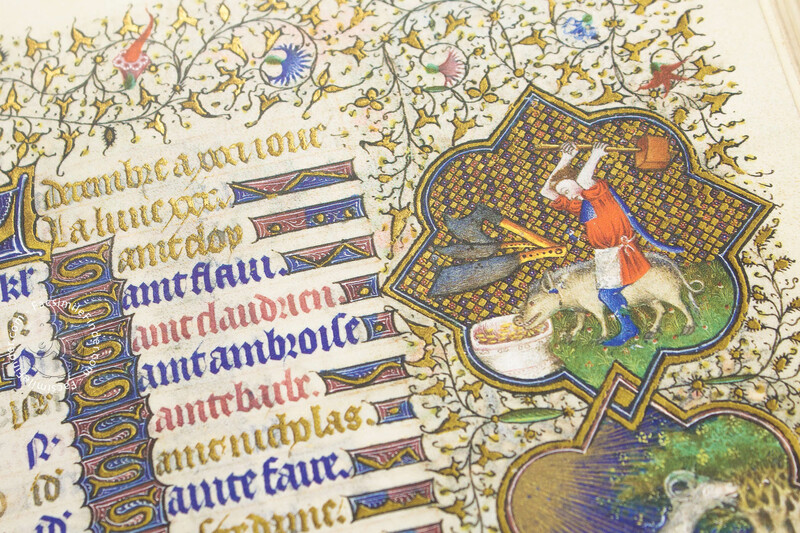 The Book of Hours of Marguerite d’Orléans displays an enchanting variety of scenes from everyday life. 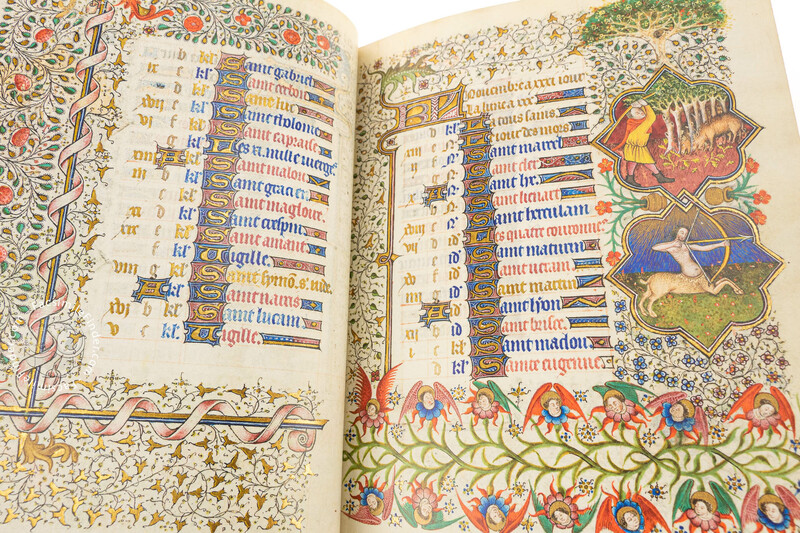 The embellishments of this devotional books include full-page miniatures for the major sections representing scenes from the New Testament and the images of the saints, along with calendar medallions framed in gold, and historicized borders depicting vivid scenes of medieval life. Marguerite d’Orléans (1404-1466) was the granddaughter of the French king, Charles V, and the great-niece of Jean, Duke of Berry. 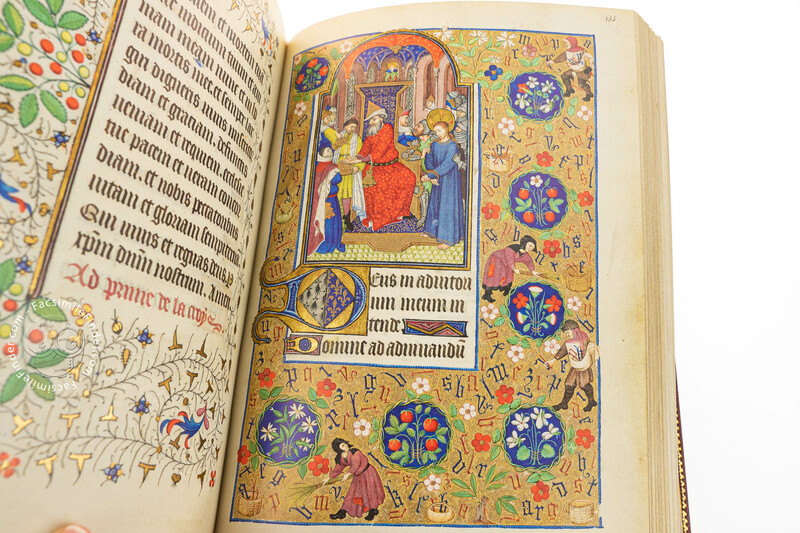 Both Charles V and Jean de Berry were highly educated, and both are known for their rich commissions of manuscripts. Marguerite might have shared the passion for books with her forefathers. 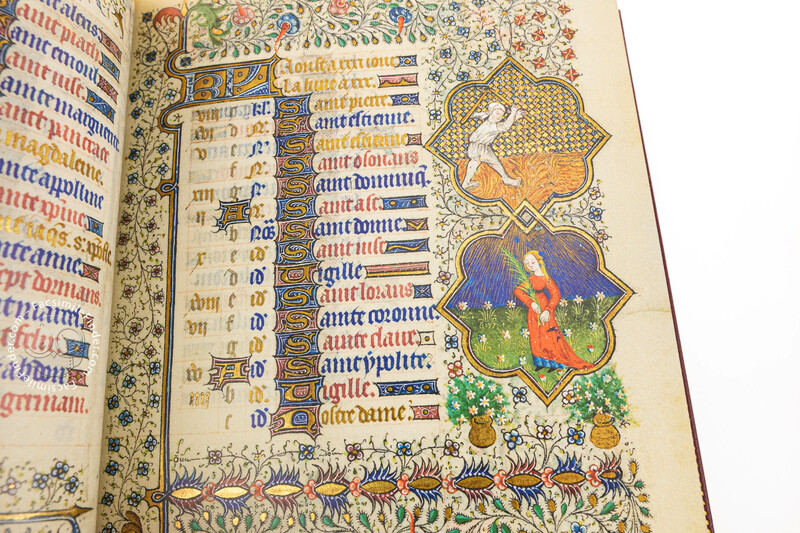 This Book of Hours named after Marguerite d’Orléans was made for her personal use. 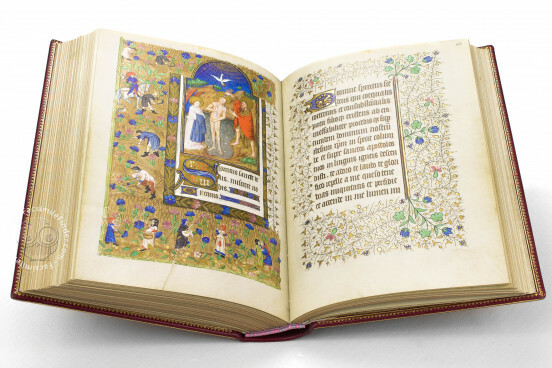 It has been suggested that the occasion for the production of this manuscript was the celebration of her wedding with Richard d’Etampes, Duke of Brittany, in 1426. The miniatures bear their joint coats-of-arms, and their monogram “r&m” appears in the initials. 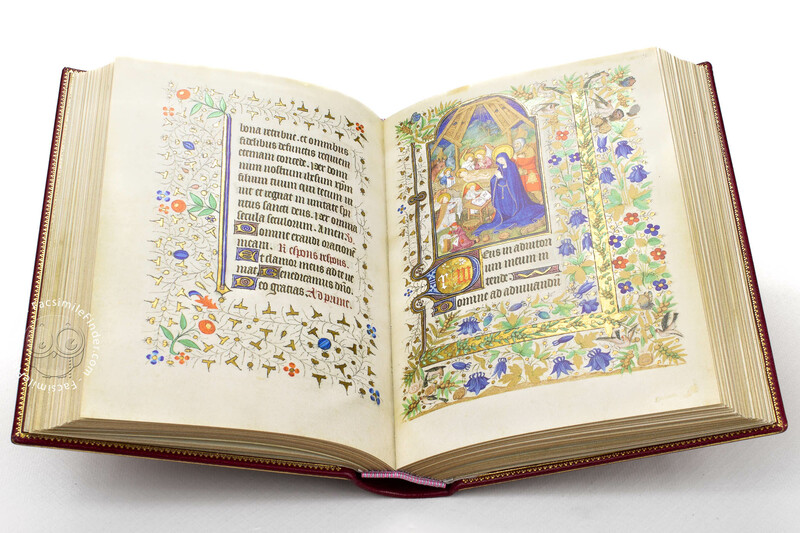 A portrait of Marguerite praying Mary presents the feature of the owner of the manuscript in a devotional context. 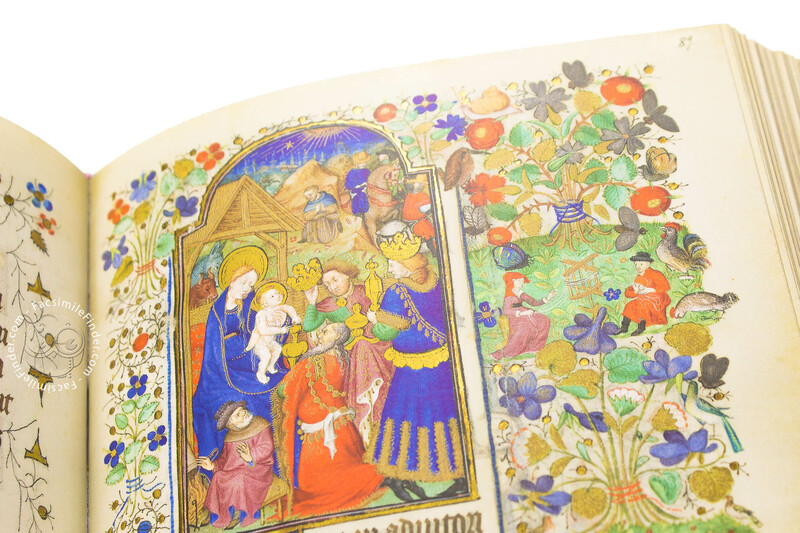 The miniatures and the ornament in the borders, enriched with gold and silver, were made around the year 1430 by the Master of Marguerite d’Orléans. Around 1450 Marguerite d’Orléans decided the decoration of the manuscript and appointed Etienne Sauderat, an artist from the circle of the Bedford Master, to provide the book with additional decoration in the margins. The Master of Marguerite d’Orléans was probably trained in Paris and he knew well the production of the Boucicaut Master. 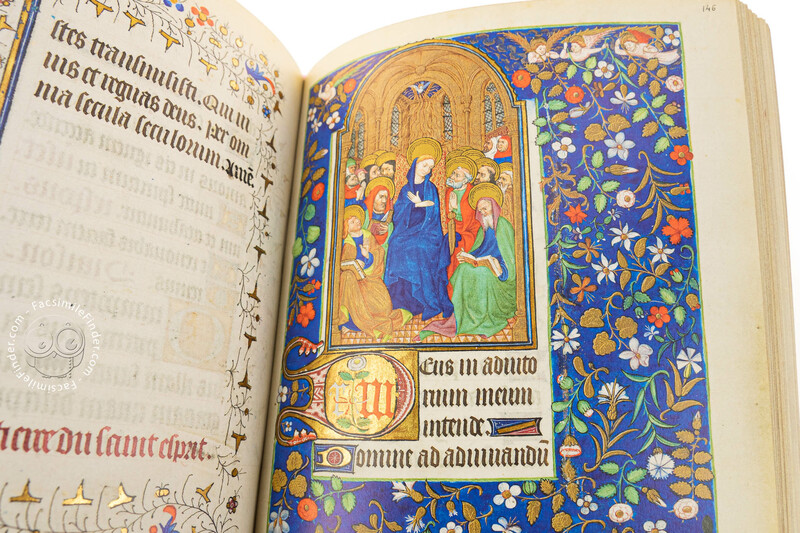 The influence of the Limbourg brothers also appears in this devotional book. 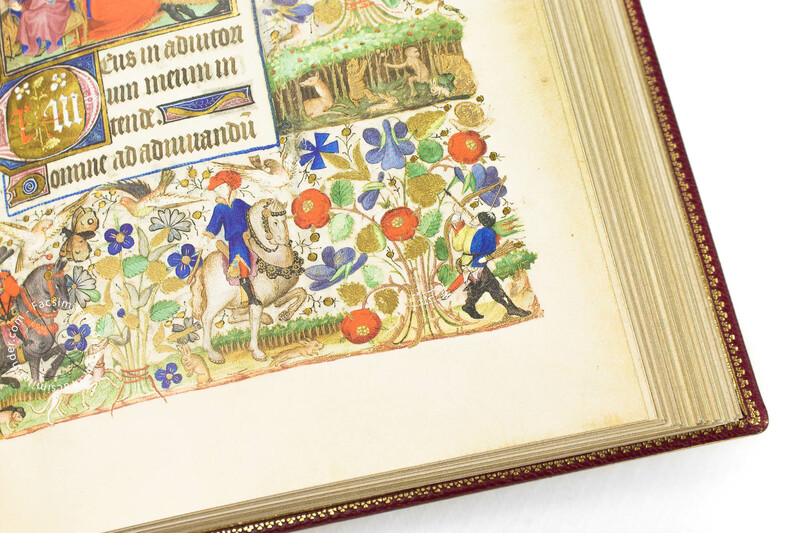 The images in the margins present diverse facets of medieval life, including knights engaged in tournaments and pilgrims traveling to Santiago de Compostela. The binding shows a remarkable leather mosaic made in the years 1725-1733. 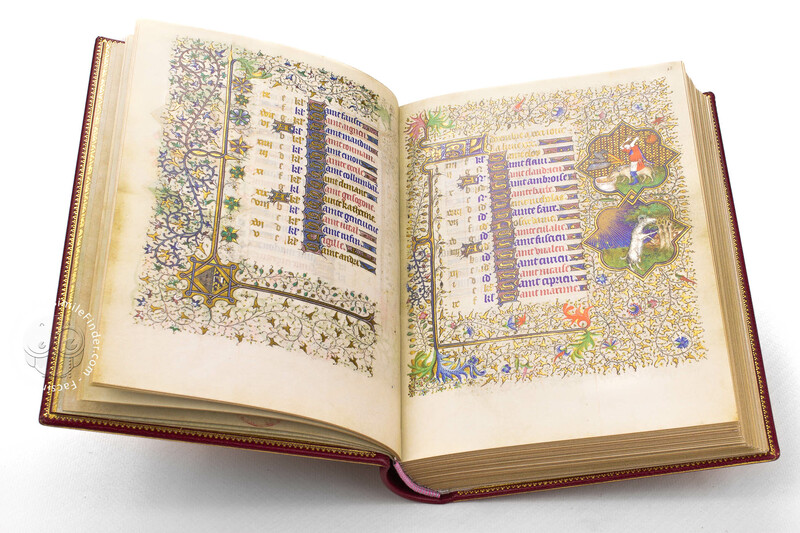 The work has been attributed to Antoine-Michel Padeloup, the royal bookbinder to Louis XV. 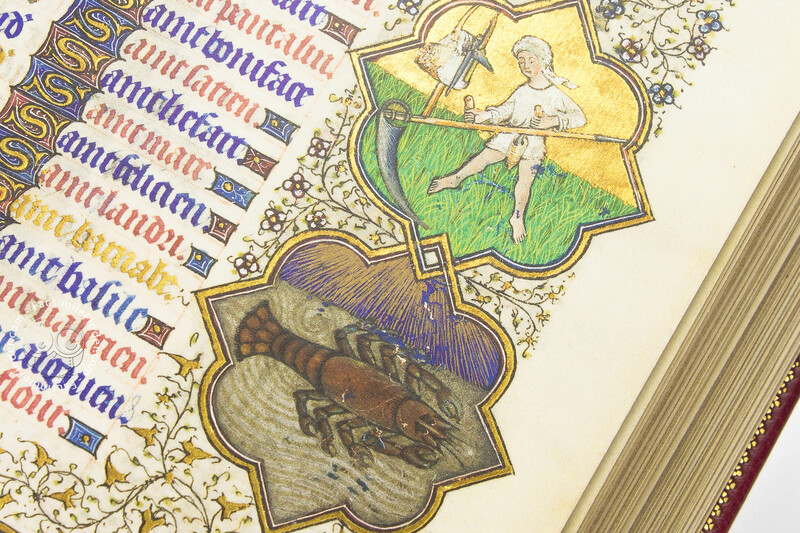 Manuscript book on parchment − 20.7 × 15 cm − 420 pp. 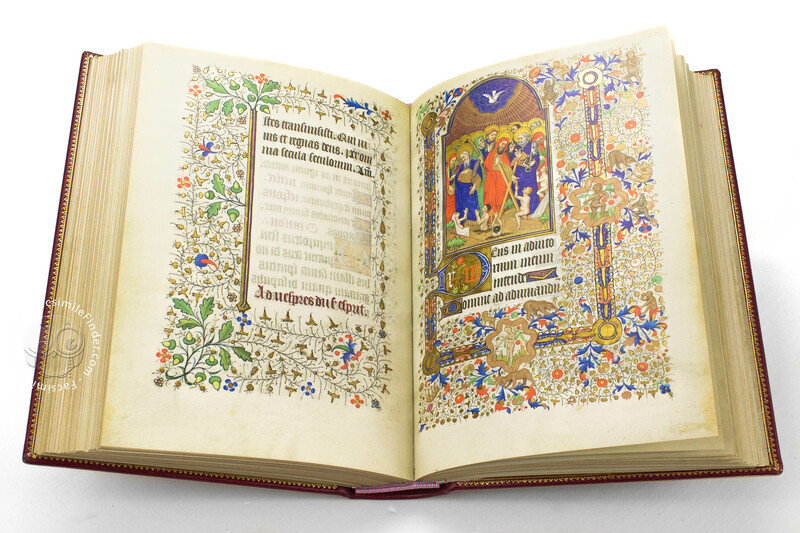 Full-size color reproduction of the entire original document, Book of Hours of Marguerite d'Orléans: the facsimile attempts to replicate the look-and-feel and physical features of the original document; pages are trimmed according to the original format; the binding might not be consistent with the current document binding. 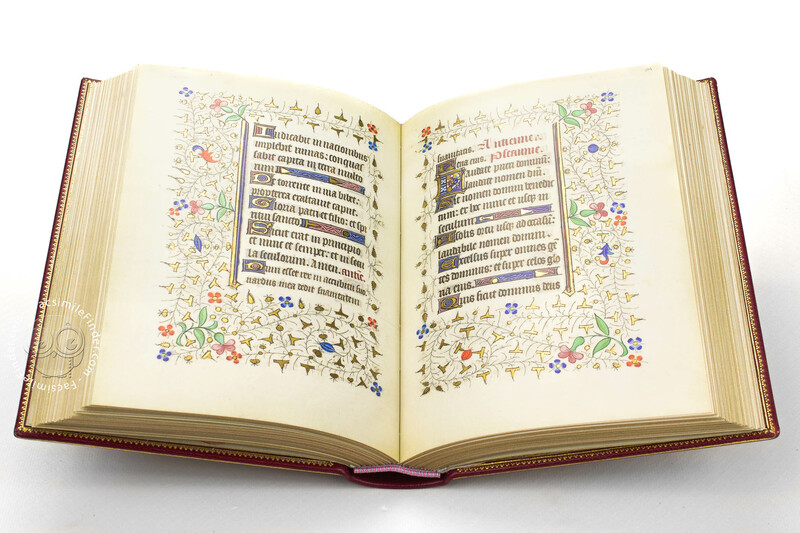 Facsimile and commentary come in a decorative acrylic glass cassette that protects them from dust. 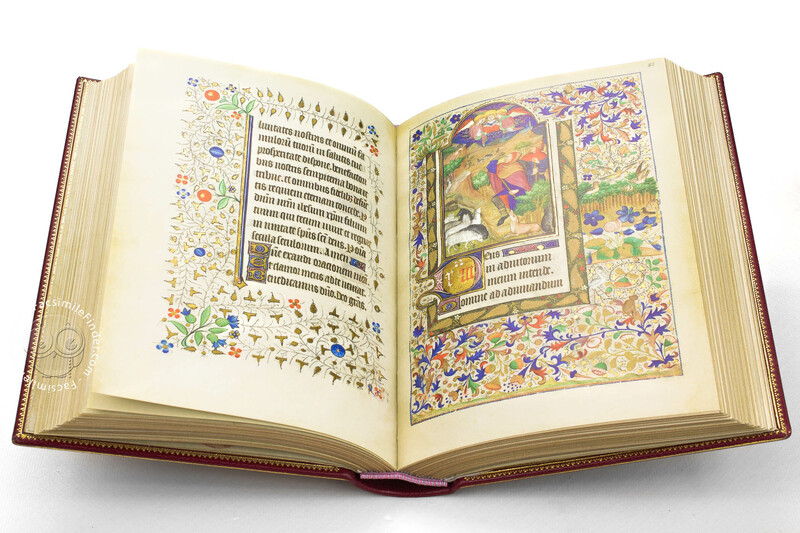 The commentary provides an extensive description of the sumptuous ornamentation, miniatures and borders, as well as paying homage to the achievements in 15th-century illumination attained by the artist. Red leather with smaller sections in two colors. 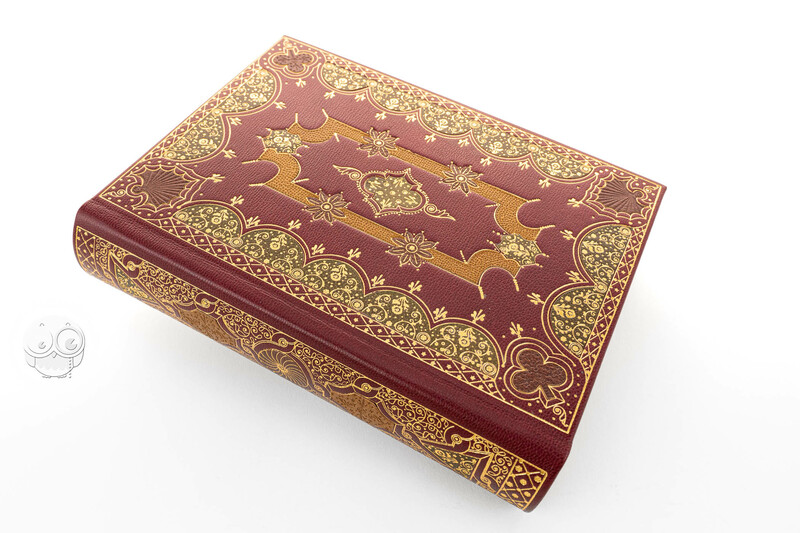 Delicate gold embossing on the front and back covers, spine and edges.